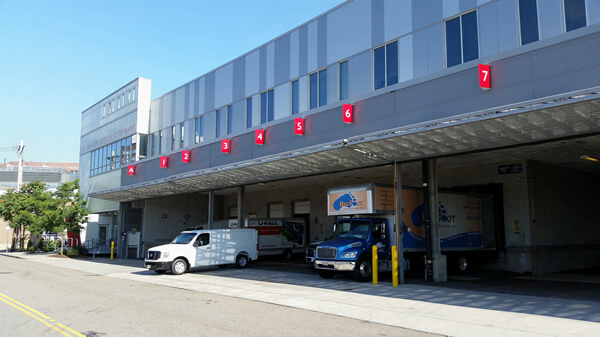 Big Foot Moving & Storage Inc. of Arlington, Mass., is the winner of the 2014 Enterprise Award, presented to an outstanding small independent mover by the American Moving & Storage Association (AMSA), the national trade association for the professional moving and storage industry. The Enterprise Award reflects AMSA’s and the industry’s commitment to recognizing outstanding performance among small, independent movers, which can be demonstrated in a variety of ways, including community service, employee relations, innovative operations, and/or exceptional customer service practices. The award honors AMSA mover members with less than $3 million in annual gross revenues and fewer than 25 employees. The recipient is selected by a panel of industry experts. 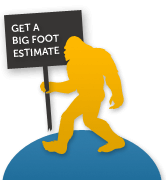 Big Foot is a successful small business that has earned excellent reviews from customers, including an A+ rating from the Better Business Bureau. 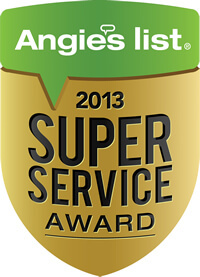 In addition, Big Foot has been a recipient of the Angie’s List Super Service Award every year since 2009. Big Foot gives back to the community in a number of important ways, such as donating time and equipment to transport food each month to the local food pantry. Big Foot’s commitment to the environment includes a fleet of late model trucks that use diesel exhaust fluid to reduce emissions. 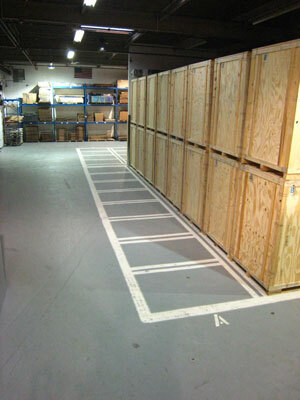 Reusable crates are used on all office relocations to reduce waste, and customers are offered gently used moving boxes for a more environmentally responsible relocation. 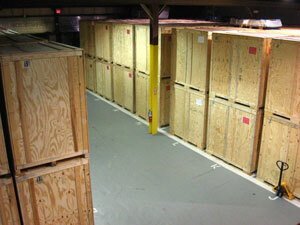 In addition, customers’ unwanted goods and furnishings are donated to those in need. Each year AMSA recognizes the best performing and highest achieving individuals and companies in the industry. The awards program receives many impressive nominations reflecting the dedication and diversity of the business sector. Recipients have made significant contributions and enhanced the image of the moving and storage industry through hard work, dedication to customer service, and commitment to quality practices. All awards will be presented during AMSA’s 96th Annual Education Conference & Expo in Orlando, February 8-11, 2015. 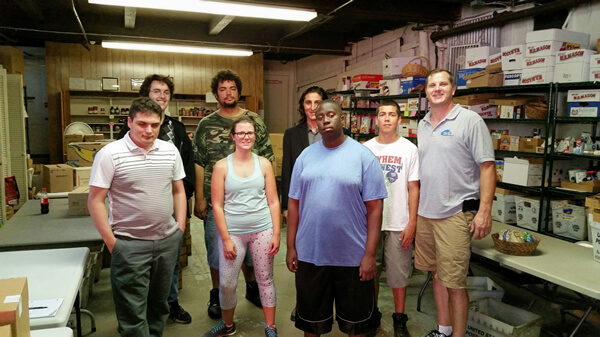 August 20, 2014 – Mike Bavuso, President of Big Foot Moving & Storage, Inc. delivered 3000+ pounds of food to the Arlington Food Pantry. The much needed shipment was sourced from the Greater Boston Food Bank. Since its start in 1990, the Arlington Food Pantry has distributed to thousands of Arlington families. The Arlington Food Pantry is entirely run and financially subsidized by donors. Big Foot was pleased to assist a tremendous organization within its own community and would encourage others to consider volunteer opportunities. 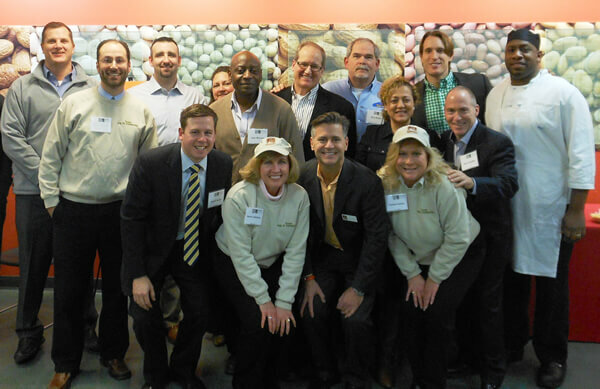 For more information about Arlington Food Pantry volunteer needs contact: alewis@town.arlington.ma.us. We had the privilege of celebrating another successful year with Community Servings last week. Big Foot Moving & Storage, Inc. was honored to be part of the top pie selling team, Pie It Forward, with over 1,200 pies sold and more than $33,000 raised! Big Foot’s president, Mike Bavuso, personally sold 454 pies and raised $12,000. Mike solidified the #2 spot of pie sellers overall for the entire fundraiser. Community Servings is an exceptional organization and their annual fundraiser, Pie In the Sky, supports our neighbors suffering from critical illnesses and their families. To learn more, please visit http://www.pieinthesky.org/event/pies/pie101.cfm.